I&apos;? ?m on a constant quest to find the perfect bag - one that&apos;? ?s functional yet trendy. One that fits every baby and toddler essential, but still looks grown up. It&apos;? ?s tough - but I&apos;? ?ve found some definite contenders in Hobo International&apos;? ?s Spring/Summer 2011 line. Hobo International is a line of leather accessories that are designed to be both stylish and practical. I tested the Celine bag - an over-sized tote in bright shiny leather. It comes in four colors; apricot, green, ivory, and black. I immediately fell in love with this bag upon opening the package. The leather is vibrant and eye catching; a beautiful summer color that will compliment so much. The Celine bag has handles and can be used as a traditional purse, but also has a removable and adjustable shoulder strap. This is incredibly convenient if you spend any amount time chasing children; no need to worry about your wallet. Best of all, there&apos;? ?s a cell phone pocket on the front of the bag. Forget about digging for your cell phone - its convenience at its best. Inside, the bag is lined with an adorable print. There&apos;? ?s plenty of space; more than enough to store kid essentials for an afternoon out. 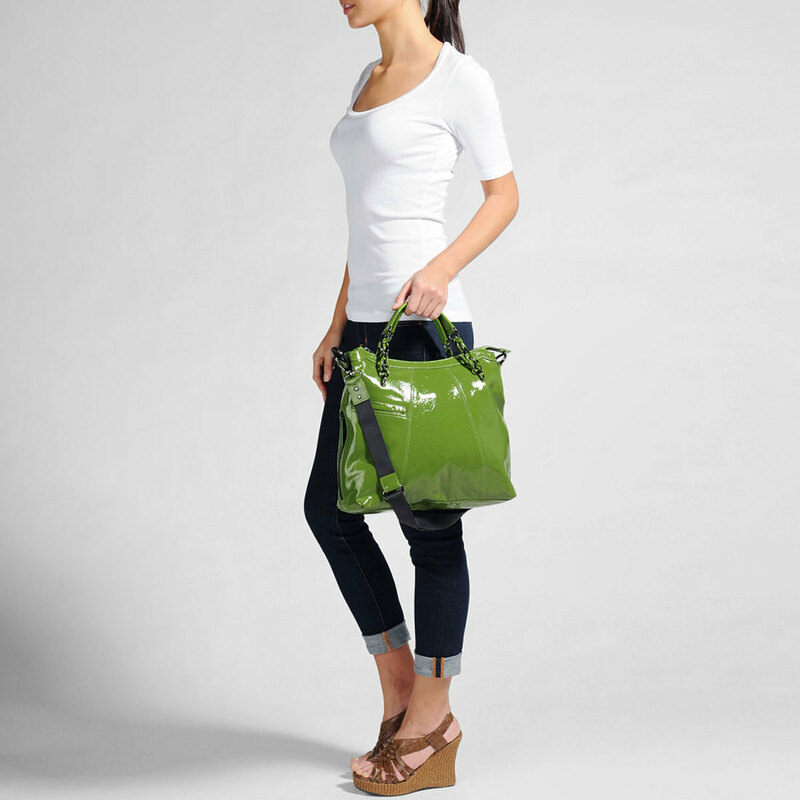 Several compartments, including a pocket with a zipper, round out the ample storage in this bag. The Celine bag is only the beginning of Hobo&apos;? ?s line of mom-friendly bags. 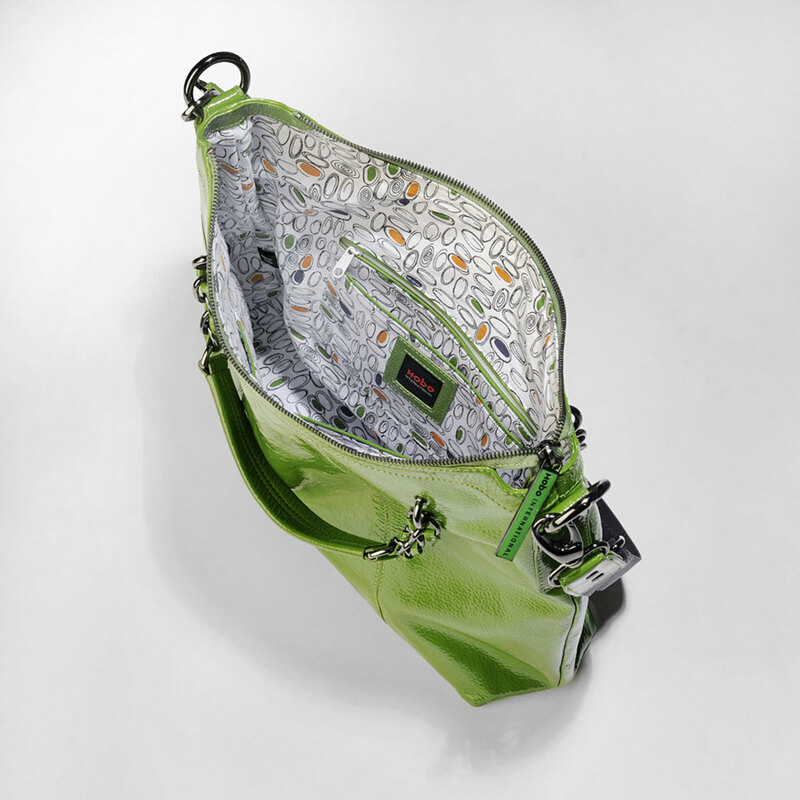 The Veronica messenger bag comes in the same fun array of colors, but is a more traditional cross body bag. The Sheila Bag is made of soft vintage leather, and features a removable shoulder strap. It comes in chocolate, stone, black and citrus colors. I loved looking at what Hobo had to offer for Spring/Summer 2011. Now that I know how well these bags fit my lifestyle (as a mom), I can&apos;? ?t wait to see the Fall 2011 collection! Momtrends was not compensated for this post. We did receive a bag for the purposes of review. Sarah Chang blogs about life with a (wild) toddler at The Stroller Ballet.